Gayle King is hot on the interview trail following her sit down with embattled singer R. Kelly. 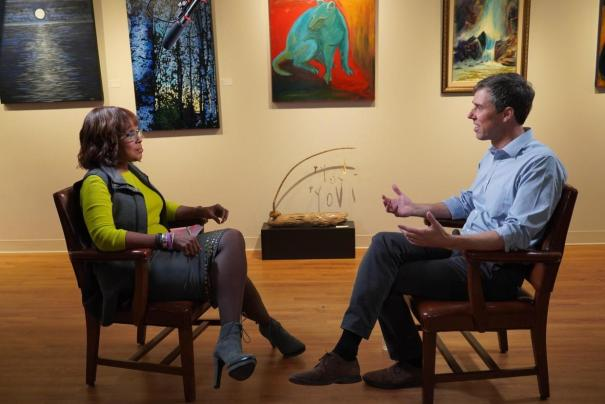 The "CBS This Morning" co-anchor nabbed the first interview with Beto O’Rourke since he officially announced he’s running to beat President Donald Trump in 2020. Trump didn't waste any time to come for Beto - who nearly unseated Republican Senator Ted Cruz - mocking his animated hand movements when he talks. Beto said he is who he is and he wants to get past all of the pettiness and personal attacks because there are bigger issues that need to be tackled. Beto also talked about why he changed his mind about running for president. And, surprisingly, his kids were very much involved in his decision. The former democratic Texas congressman and Senate candidate was asked if he still feels like Trump should be impeached over controversy about the 2016 presidential election. “It’s beyond a shadow of a doubt to me that, if there was not collusion, there was at least the effort to collude with a foreign power, beyond the shadow of a doubt that if there was not obstruction of justice, there certainly was the effort to obstruct justice,” O’Rourke explained. “Whether that’s firing James Comey, the principal investigator into what happened in the 2016 election, or in the light of day, tweeting to your Attorney General, as President Trump did, to end the Russia investigation,” he continued. Former Vice President Joe Biden is sparking speculation that a 2020 presidential run with former Georgia House Minority Leader Stacey Abrams could be in the works. According to the AP, Joe and Stacey held a meeting together at Biden's request. The meeting is significant because Biden represents the moderate, establishment wing of the Democratic Party and is widely expected to be an instant frontrunner if he decides to seek the presidential nomination in 2020. Abrams, by contrast, has run as an unabashed progressive and, because her most significant public office was that of a state legislator, she would normally not be considered as a viable presidential contender. 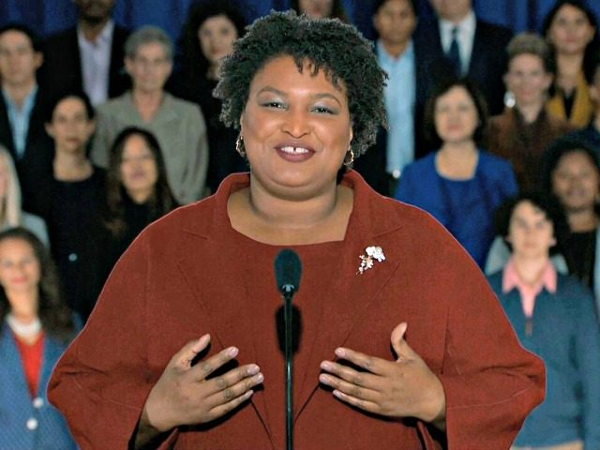 That said, Abrams' defeat at the hands of Republican Brian Kemp during last year's gubernatorial election was widely viewed as tainted due to rampant voter suppression, and Abrams' star has risen within the party to the point where she delivered a response to President Donald Trump's State of the Union address earlier this year. Consequently, Abrams is being courted as a possible Senate candidate in 2020 — or even a possible presidential or vice presidential candidate that same year. Are we here for a Biden/Abrams 2020 ticket?